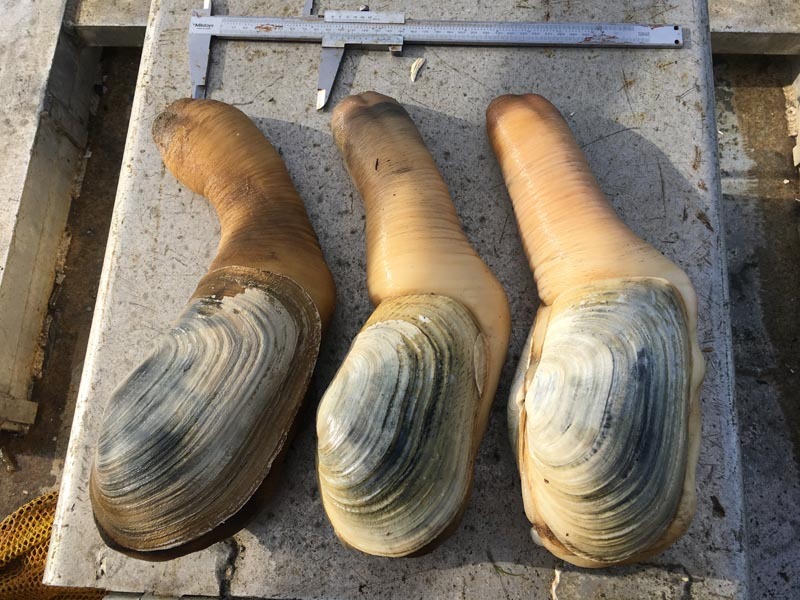 NRC manages large-scale geoduck survey work for tribal agencies. Geoduck are an important economic and cultural resource for the region. Responsible management of the species and habitats helps to maintain a healthy, productive, and sustainable fishery. We manage all field operations, data analysis, and reporting for our clients. Results from our cooperative research inform management decisions between Co-managers regarding commercial fisheries, in determining total allowable catch for harvest potential. Accuracy and integrity of our data is of vital importance, and we maintain strict protocols in the field and during reporting to ensure reliable and defensible products. Some of our survey work has covered over a thousand acres of shoreline in a single season, and includes the management of many support staff and vessels for field operations.